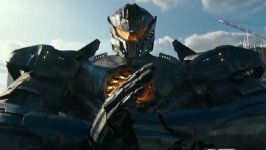 Pacific Rim Uprising Movie This March, Monsters and Mechs Collide! 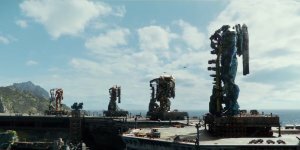 The film will be released in 3D and Imax. 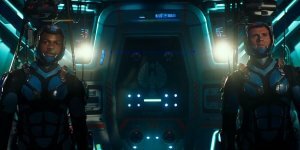 Pacific Rim 2 marks Steven S. DeKnight’s feature directorial debut. He most recently served as executive producer and head writer of Marvel’s Daredevil for Netflix. 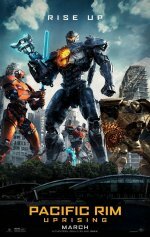 The first Pacific Rim, starred Charlie Hunnam, Rinko Kikuchi, Idris Elba, Charlie Day, and Robert Kazinsky. 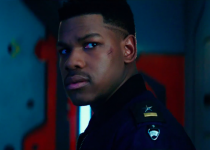 John Boyega will play the son of Elba’s character, who sacrificed his life in the original film (Hollywood Reporter, 9/21/16). added the tagline: "This March, Monsters and Mechs Collide!" 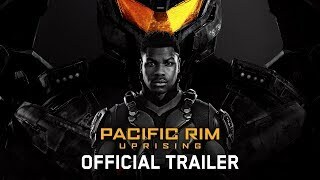 changed the title from "Pacific Rim: Uprising" to "Pacific Rim Uprising"